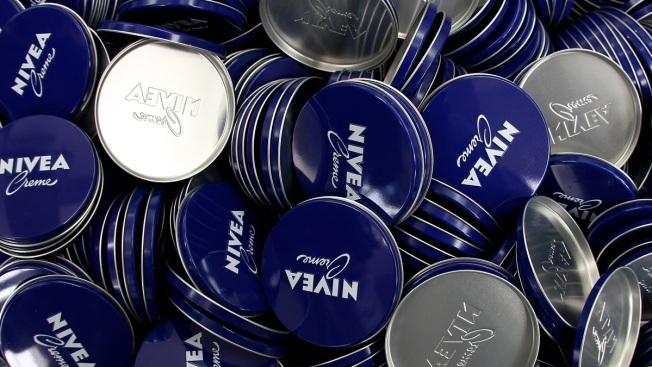 File photo Nivea cream cans are pictured in a Beiersdorf factory in Hamburg, Germany. The German skin care brand Nivea finds itself in the midst of a controversy after using the phrase “White is purity” in its latest ad. Nivea created the ad to promote their Invisible For Black & White deodorant. It shows the back of a long-haired woman in a white robe with the text that has spurned backlash. It was on Nivea Middle East's Facebook page over the weekend and has since been taken down. Social media users were quick to criticize the ad, tweeting about—and at— the image. On Tuesday, Nivea USA’s Twitter account spent the day apologizing to insulted users. Nivea's latest advertisement controversy comes on the same day that Pepsi pulled a commercial that was widely criticized for appropriating the Black Lives Matter movement.